ÖkoFEN are producing a new a new breed of wood pellet boiler which heats your home and produces electricity for your own use or to feed back into the grid. 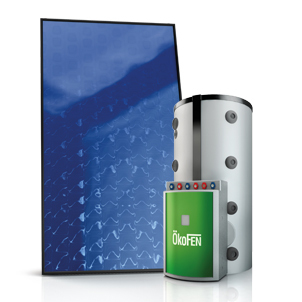 Be a pioneer in sustainable heating with this amazing piece of enginering from ÖkoFEN. 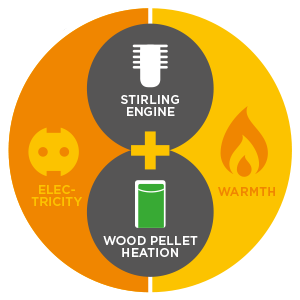 The Pellematic Smart_e is a wood pellet boiler that combines a Stirling Engine to provide heat AND electricity for your home. CHP - Combined Heat and Power. 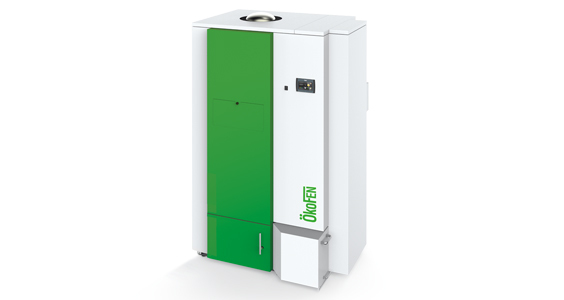 At the forefront of CHP (Combined Heat and Power) technology the ÖkoFEN e-Max, with it's integral Stirling Engine, is a 'cogeneration' boiler which offers ecological and energy-conscious heating and electricity for the home, public and private sectors. The spring on the opposite casing side at the bottom pushes the piston back upwards. The working piston is moved up and down by these pressure waves. The magnetic working piston is surrounded by a fixed magnetic coil with copper windings which generates the alternating current. 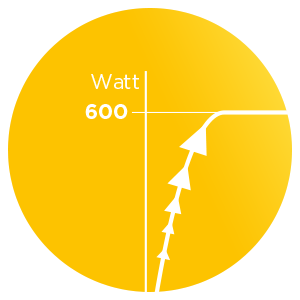 This cycle is repeated 50 times per second, generating AC power at 50Hz. The remaining heat is used for space heating and domestic hot water. 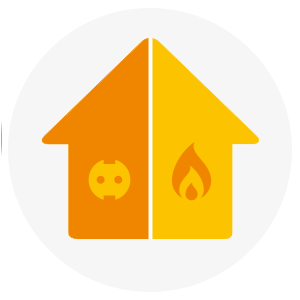 The comparison of conventional separate systems for providing heat and electricity with a electricity generating heating makes evident that the primary energy input is reduced with on-site and simultaneous generation of heat and electricity. 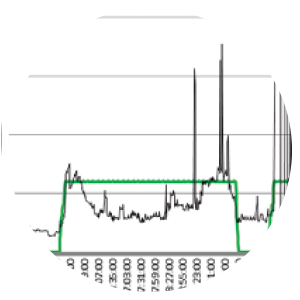 Electricity generation in large power stations and the transport of electrical energy by overhead cables are no longer necessary. With our Pellematic Touch heating controller you can quickly and conveniently access the heating system and call up all of its data from a computer or smartphone, wherever you are. 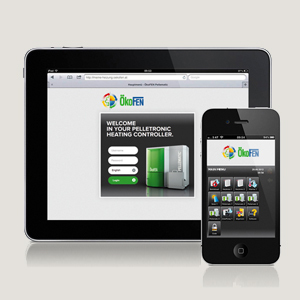 The mobile App user interface is a copy of the control panel on the boiler making access easy. 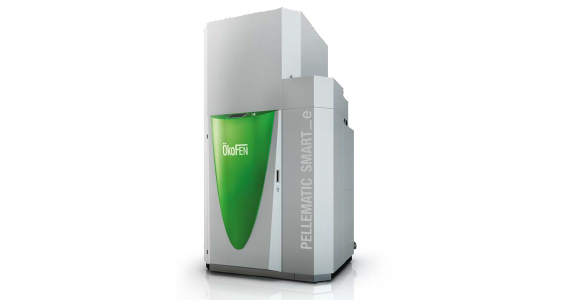 An ÖkoFEN condensing wood pellet boiler can be integrated with solar collectors and a Pellaqua accumulator tank, allowing you to enjoy the benefits of renewable energy from multiple sources and the same reliable and high quality technology from a trusted name. Ökofen's Flexilo fabric tanks provide a clean, simple and quick installation solution. Flexilo tanks are dust-tight, permeable to air and permanently anti-static. They are available in 35 sizes from 450kg to 12 tonne. 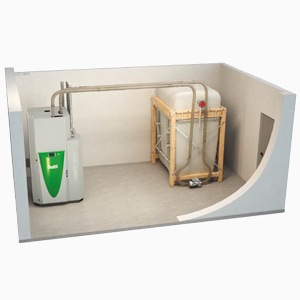 Wood pellet delivery from storage to boiler can be carried by our vacuum systems. Click here for more information. Why Organic Energy for Combined Heat & Power (CHP) Wood Pellet Boilers? We have a network of independent installers who have been through a rigorous training programme at our specialist training centre in mid-Wales.